The photographer John Thomson (1837-1921) used the 'Woodburytype' process patented in 1864 for the images in Street Life in London, including this photograph. This was a type of photomechanical reproduction using pigmented gelatin, usually of a rich purple-brown colour. The process was complicated but remained popular until about 1900 because of the high quality and permanence of the finished images. 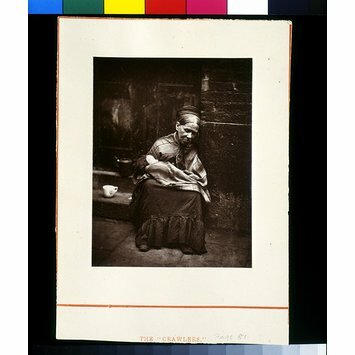 John Thomson (born in Edinburgh, 1837, died in London, 1921) was a photographer and writer. He enjoyed travelling and settled on the island of Pinang, Malaysia, becoming a professional photographer in 1862. Until 1864 he travelled to Siam (now Thailand), Cambodia, Vietnam and China and took photographs of landscapes and social scenes that would have seemed very unusual to a western audience. He prefered to publish his photographs in albums rather than hold exhibitions, promoting the documentary aspect of his work. In 1872 Thomson returned to London and produced Street Life in London (1877) with the writer Adolphe Smith Headingly, a study of destitution in the East End. This was one of the first books to use photographs to illustrate claims made in the text. The people in the pictures were arranged or posed by Thomson to form interesting compositions. However, the results were often naturalistic because the subjects and surroundings were always authentic. 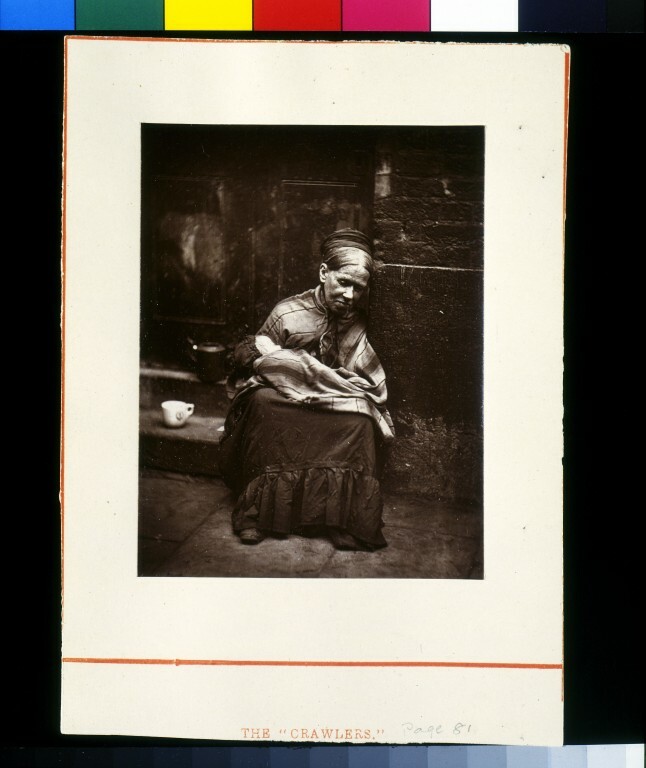 Photograph of a woman sitting on a doorstep with baby in her arms.